This week’s lunch specials. 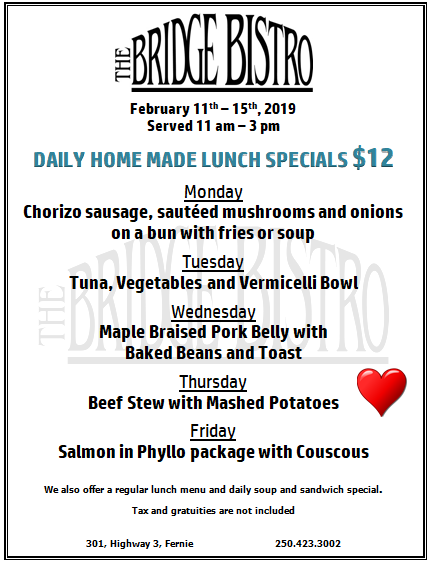 Come in and warm up with our home made hearty lunch specials, or pick from our full lunch menu. We are also serving breakfast until 1 pm daily.